The Cadillac XTS Professional Vehicles (read: the livery- and limo-market XTS) is getting several welcome changes and updates for the 2016 model year. The changes are similar to those seen on the non-livery 2016 Cadillac XTS. To start, the 2016 Cadillac XTS Professional does away with four exterior colors, including Cocoa Bronze Metallic, Crystal Red Tintcoat, White Diamond Tricot, and Black Diamond Tricoat. Meanwhile, one new extra-cost color — Crystal White Tricoat — is added to the palette. To note, the new hue won’t be available at start of production. Rounding out the exterior changes for the 2016 XTS Professional is a new wreath-less Cadillac crest badging and a new sport grille. More notable changes, however, take place inside. 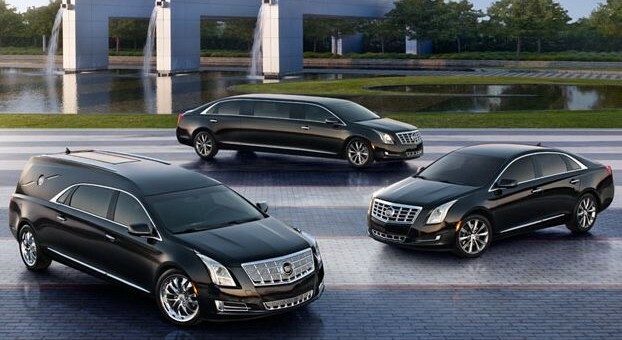 For instance, the 2016 XTS Professional gets new technology in the form of OnStar 4G LTE with Wi-Fi, Wireless (inductive) phone charging, and a bevy of improvements to the Cadillac User Experience (CUE) infotainment system consisting of improved system speed and performance, faster and more accurate map loading and voice command execution, redesign navigation interfaces, and more. And just like on other 2016 model year Cadillacs, the 2016 XTS Professional does away with the SD Card slot. Didn’t they say they were going to do-away with morgue-mobiles? But get me to the grave on time. You mean the XTS as a whole or just the ZTS hearse? Because it looks like both will be around… at least for 2016. Wouldn’t be the first time he’s contradicted himself – too many dealers, premium pricing without apology, etc. Anyway, the ‘limos and hearses is not where I want Cadillac to be’ is his quote. Still, nice to have wi-fi and OnStar available for the dearly departed. “Where I want Cadillac to be” and where Cadillac is now are different things. Might take some time to get to the former. From what I’ve read, all itterations of the XTS will stick around until 2019. It makes sense that it would fall in line with the rest of the Cadillac family (at least for now), as far as the new crest and tech are concerned. I see no contradiction in that. Well , atleast we know who is buying the XTS . Three more years and its going away . I really dont see how Cadillac building for the Livery is a bad idea . Its such a small market . I guess GM is handing it off to Lincoln to fill with their upcoming Continental . Unless of course Johan changes his mind ………………..!? Wish Cadillac would maintain one traditional full size car in the line up for older customers and those that just want something that is full size classic without the bleeding edge tech and performance. like an updated DTS but rear wheel drive with an naturally aspirated V8 and 6 speed automatic. Its cool they have the V cars with the beast V8, but it’s a bit much for my desires.